In my previous post, There has got to be a better way to do this! How to start an Interdisciplinary PLC, I explained how a group of teachers at Walla Walla High School joined forces to help their freshman students become better at writing with evidence. 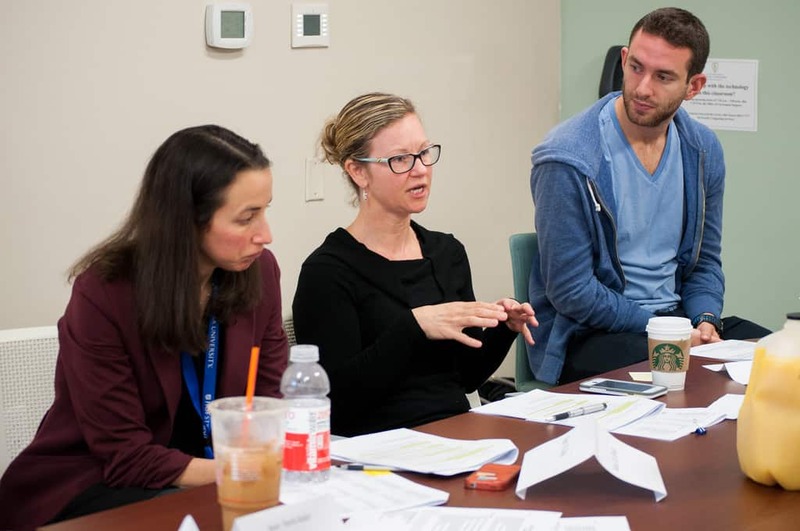 Our first year as a Professional Learning Community (PLC) focused on identifying common language and high-impact strategies for teachers across disciplines. 1. Use quotations to cite textual evidence in support of claims. This was the highest-impact strategy for our students, although it is not without controversy. There are valid concerns about students over-using quotations or educators teaching “formulaic” methods of writing without transitioning students beyond those scaffolds, but our baseline data indicated that many of our 9th grade students would benefit from very clear guidelines about how to select evidence. As a pre-assessment, our freshman students were tasked with reading grade-level material and making a claim in response to a question, supporting that claim with textual evidence. The results caused us to change what we thought our work was going to be about. We initially wanted to work on aligning our writing expectations/rubric with posted grade-level student anchor sets to ensure we were being consistent with expectations set in other districts. We found, however, that most of our student work was in the “1” or “2” range of our rubric (low) and it was clear that our work was not going to be about “fine-tuning” this process. This was an eye-opener for me on just how important it is to discuss student work in a PLC. Instead of gathering textual evidence, many of our students were simply writing their own ideas about the topic (the text was about the importance of forensic evidence in court cases). The writing was almost entirely student commentary instead of an argument paragraph. We decided we needed to teach our students how to identify evidence as well as provide more structure, scaffolds, and practice for this type of writing. The practice of citing evidence using quotations is something will continue to use with most of our freshman and sophomore students, while transitioning our junior and senior level students toward more diverse methods of citing evidence. 2. Employ common language and strategies across disciplines. Our students may have six to seven different teachers each day, each with their own expectations. We wanted our students to save the space in their brains for progressing in their writing skills, not trying to remember which teacher wants them to cite paragraphs and which wants page numbers. Through our discussions, we discovered many commonalities between our courses. The differences in language might be as simple as science teachers using the terms “Claim-Evidence-Reason” while ELA teachers would replace “reason” with “commentary.” Spending time in an interdisciplinary PLC helped us understand the connections between courses so that we could explain those connections to students. That makes writing easier for students and instruction easier for teachers because there is reinforcement for students throughout the day. One of the common strategies we agreed on for citing quotations as evidence is called Li-C-Q-Px3. Not only did this emphasize for students the fact that they needed to use direct quotations for textual evidence, but it also provided a specific structure that supported some of our reluctant writers. 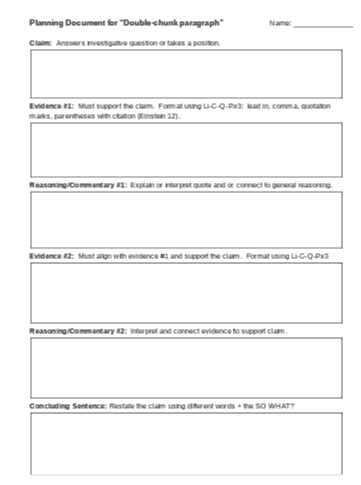 With this strategy, a student first identifies or makes a claim, and uses this format to embed their supporting evidence. Here is an exemplar for a short summary of a science text. We frequently color-code our writing, particularly at the start of the year. This could be done with colored pencils for written work, but my students strongly prefer to type since it is much easier to edit. The amount of evidence and commentary will vary depending on whether they are writing an argument paper in English or a summary of a science text, and often a second quotation, commentary, and a concluding statement will be included. We knew our efforts were working when other teachers started asking us what this “Li-C-Q-Px3” was all about and when students started complaining that “ALL” of their teachers were asking them to do this now. The PLC also developed rubrics and scaffolding templates for writing with evidence, but at the end of the school year we still had different versions for ELA, science, and social studies. An administrator encouraged us to have ONE common rubric and ONE common planning template for writing with evidence. We had discussed the possibility before, but for a variety of reasons most of us (including myself) thought it was just NOT possible. After more thoughtful questioning, we eventually conceded that, okay, we could try and develop a common rubric, and it was, frankly, pretty easy. This also led to the common student planning template and makes it a lot easier for us to share these strategies with other teachers across departments. Another benefit? This school year we will be able to use this rubric across disciplines for writing with evidence. When we look at student work in our PLC, it will be clear where we need to focus our general classroom instruction; we can identify which students need more targeted support, and we can work TOGETHER to provide those opportunities for instruction and practice throughout the day. This is like a dream come true! 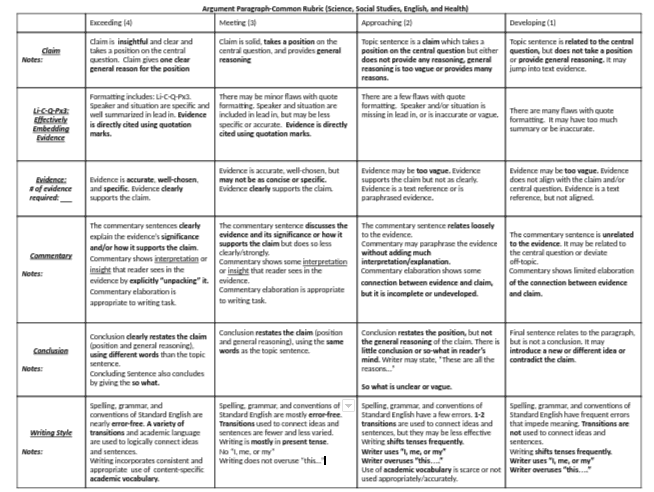 Cross-subject argument writing rubric developed by the author’s interdisciplinary PLC. A full size PDF version can be downloaded at the top of this post. 3. Use templates and tools that allow for scaffolding. 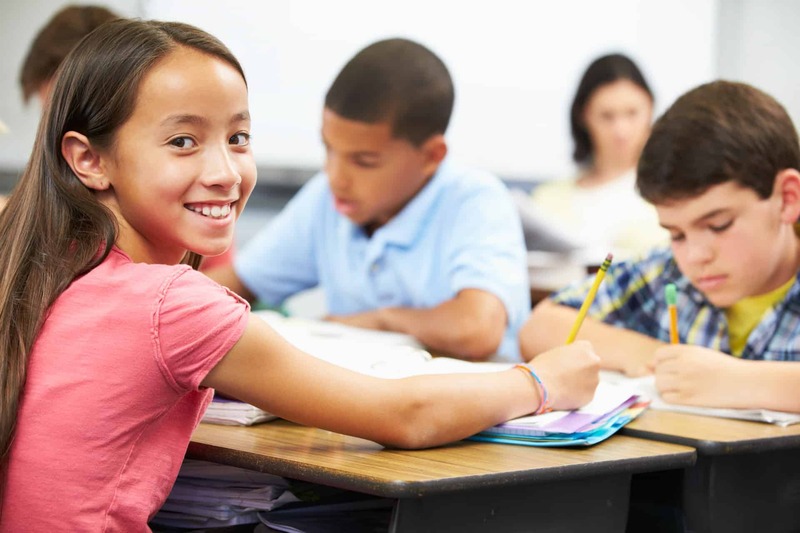 We know that some students can be overwhelmed by the writing process, and who can blame them? If I tried writing and constantly got feedback that I was “below standard” and it was clear to me that I wasn’t a good writer, I would probably stop trying, too. 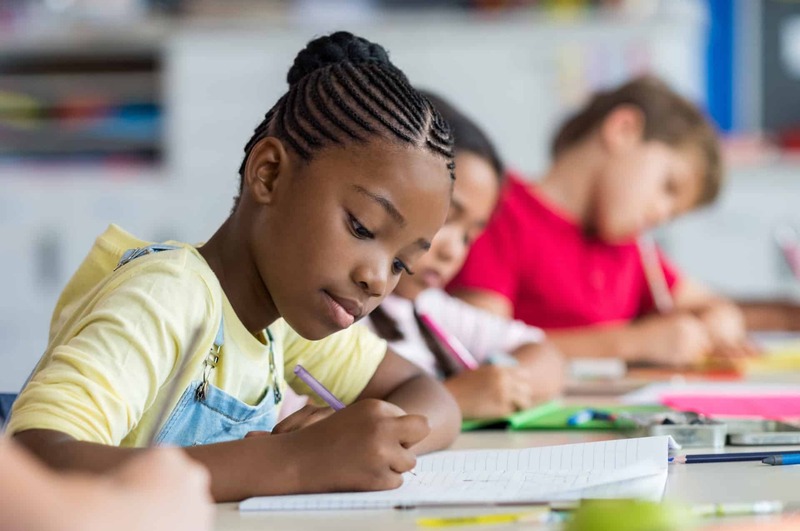 I saw the practically blank screens when I gave students a prompt, but as a science teacher, I did not have a lot of strategies in my toolbox to help students fill their pages with smart, evidence-based writing. 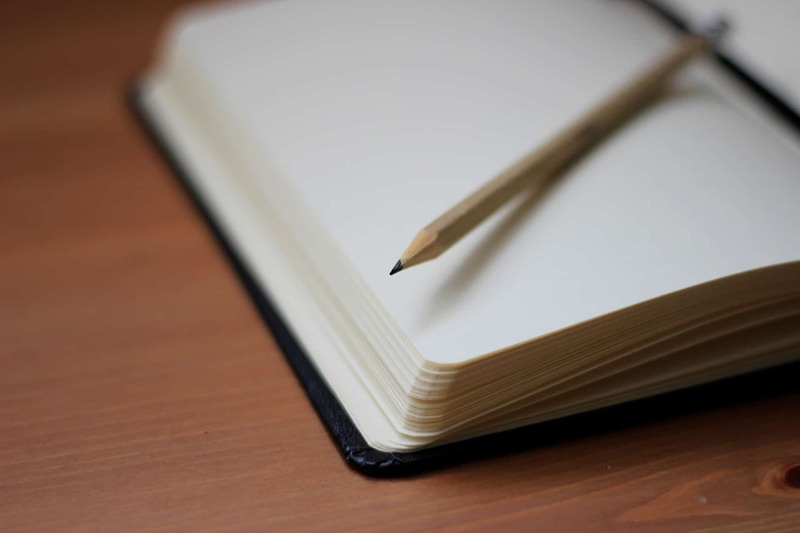 Thankfully, most of the teachers in my PLC have much more experience teaching writing than I do, and together we discovered some highly effective supports. P.S. They work for ALL students, including the reluctant writers. At the start of the year, we provided post-it notes for students to plan their writing. One post-it has the claim; another has a piece of evidence, and another has commentary. 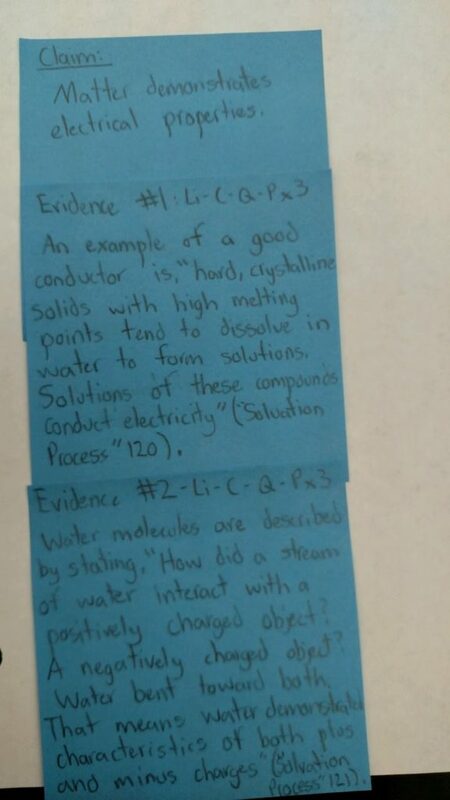 In the example above, students were writing a short summary of some science text, so they got three post-its (one for the claim and two for evidence), but in an argument paragraph, they may have 5+ post-its to pre-write their commentary as well. You could do this planning activity with index cards or plain paper, but students really do get more excited about using colorful post-its. The first time we wrote a summary, I checked in with each student before he or she typed, which allowed for focused editing. It also ensured that students’ first experience for feedback on their written work was positive, as I was acting as a “checkpoint” in the process. Together, we could make sure each component was present, and the student and I could discuss each post-it individually, if needed. Students could get a new post-it and re-do only what they needed to, which was less frustrating than having to re-edit an entire paragraph. When we used post-its, ALL of my students were engaged and willing to write. As we progressed through the year, students were given the option to use post-its or the planning template posted above. Many students no longer needed post-its, although I continued to give them the option. 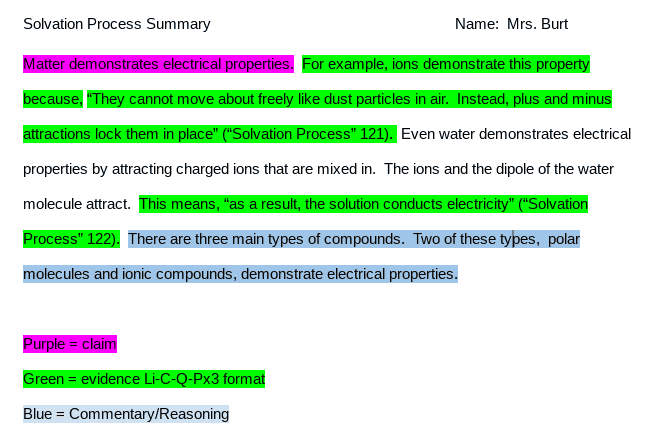 I posted color-coded exemplars on Google Classroom for students to view if they got “stuck” and I continued to have the support of the PLC to create mini-lessons when the class needed a refresher or when I wanted to support skill building, such as developing varied lead-ins. Understandably, there are concerns from content teachers about adding yet another “thing” to an already full curriculum, but once I gained confidence in understanding the Shifts and how to better support students in skill building, I found it pretty easy to adapt the lessons I was already doing. It is also much easier to assess good writing and we saw tremendous growth (both measureable and anecdotal) with our students which we were able to celebrate as a PLC. Being in a PLC with a focused goal means that I get support from a diverse group of teachers to identify strategies that I can use RIGHT AWAY to support my students RIGHT NOW. Long-term planning and “nuts and bolts” meetings have their place in our work, but getting to see immediate growth in the students in front of me because of what I have learned from other teachers in our PLC has been gratifying and has energized my practice. Some big take-aways: Once students experience success in their writing and have scaffolded support, the growth will come. Secondly, develop a team that is willing to work together to support students in the Shifts across their day. It takes time and willingness to adapt, but consistency in language and expectations has led to growth both for our students and for us as practitioners. Personally, I have also benefited from getting to know teachers from other departments that I wouldn’t normally get to work with. Apparently there are jokes out there that only science teachers find funny. Blog Post #3: We’ve got some high impact strategies. We have a common rubric and assessments. What are we going to do this next school year? Keep watching this site, where I plan to have some great advice for scaling up your PLC work! About the Author: Mary Burt has held a variety of roles in education, ranging from a third grade teacher on the Navajo Reservation to an adjunct Chemistry instructor at her local community college. 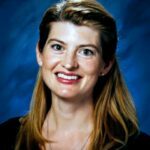 Currently in her 9th year as a classroom teacher, Mary teaches Physical Science and AP Biology at a public high school in Walla Walla, WA. She is pretty thrilled that she gets to spend her days with young people.